Continued development of the BrainMap Project has been enhanced by collaborations and contributions from a number of different sources. In the currently funded NIMH award (R01-MH074457), we solicited participation from Dr. Simon Eickhoff of RWTH Aachen University to accelerate the pace of algorithm and tool development in coordinate-based meta-analyses. Previous funding periods have included multiple external collaborations. BrainMap would like to thank Dr. Gabriele Lohmann and Dr. Jane Neumann of the Max Planck Institute for Human Cognitive and Brain Sciences for their contributions to meta-analytic algorithm development. BrainMap would also like to thank Tomas Paus, Roberto Toro, Joe Maisog, and Peter Turkeltaub for the development of previous algorithms and tools. 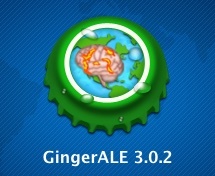 Lastly, BrainMap would like to thank Peter Turkeltaub for initially sharing his ALE meta-analysis algorithm, which was originally incorporated into Search&View and subsequently extended and modified into the application that became GingerALE. BrainMap is a proud supporter of the Neuroimaging Informatics Tool and Resources Clearinghouse (NITRC) and the Neuroscience Information Framework (NIF). All tools created and developed at the Research Imaging Insitute are registered with NITRC and the NIF, including the BrainMap applications, the Talairach Daemon, and Mango. BrainMap was originally conceived by Dr. Peter Fox in 1987 and received funding from the James S. McDonnell Foundation (1988-1990) for development of the first behavioral coding scheme and a HyperCard-based prototype. BrainMap development was funded by the Office of Naval Research (1991-1992) and by the Montreal-based EJLB Foundation (1992-1996). 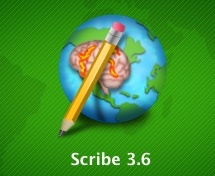 During this time, the strategy of a centralized database of text and tabular data (not images) accessed via the internet using a GUI with display graphics stored locally on the users' computers was developed and refined. A test set of data (225 papers, 771 experiments, 7863 activation sites) were coded, entered, shared, and used for initial development of the functional volumes modeling (FVM) meta-analysis method (Fox et al., 1997). This instantiation of BrainMap attracted more than 1600 subscribers and supported a peak usage of 12,000 sessions per year (1997-1999). The National Library of Medicine (R01-LM6858) funded the BrainMap database from June 2000 to May 2003. 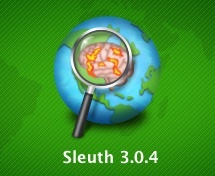 This funding supported reconstructing the interfaces in Java (for cross-platform operability), extensive refinements of the BrainMap Meta-Data Coding Scheme, recoding the test data set (225 papers) and extending the data to 420 papers (1714 experiments, 14642 locations), and further development of the FVM meta-analysis strategy (Fox et al., 1999; Fox et al., 2001). A bridge grant from the UTHSC Medical Dean's office funded BrainMap development from June 2004 to May 2005. During funding gaps, bridge support has been provided by the Research Imaging Insitute. Currently, BrainMap is funded by an NIMH award to Peter T. Fox and Angela R. Laird (R01-MH074457).